Why You Need to Get Serious About Email Marketing..
Don’t be fooled into believing that having a social media tribe means that you don’t need an email list…. How many of you have put all your effort into building a great audience on social media but have gathered little to none of their email addresses? Are you one of the many who abandoned the idea of having a website or a blog, focusing only on social media marketing? How many of you believe that email marketing is a thing of the past and that nobody gets sales through email? Now, don’t get me wrong, social media marketing should be a very important part of your overall digital marketing strategy, the key word here being “part”: social media is one of the many tactics that you need to employ to have a successful and fully integrated digital marketing campaign. Email remains the one marketing tool that you are sure your message will reach the intended recipient. Over the years, several claims have been made about the death of email marketing, but the statistics tell a different story. In fact, email marketing is an essential tool for attracting and retaining customers. I invite you to read this article “Is Email Marketing Dead? Here’s What the Statistics Show” and look at the stats for yourself. 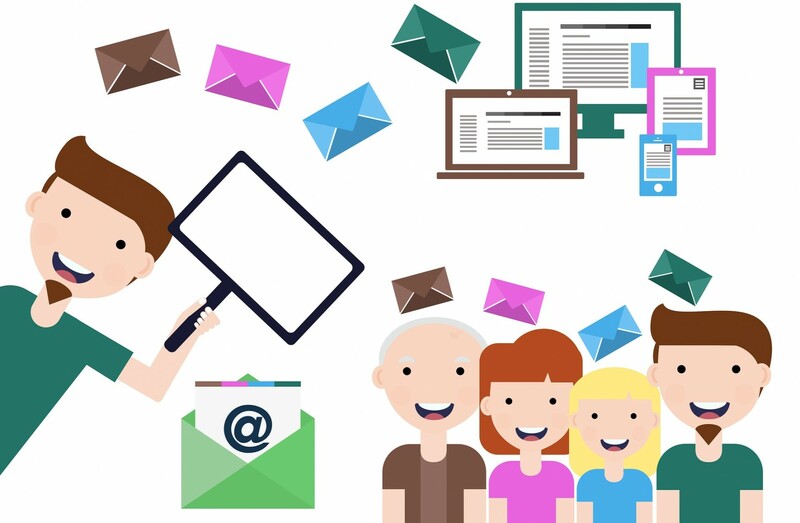 With a strong email marketing strategy, you can reach and connect with your target audience in a personalized way and increase sales at an affordable cost. Here are 9 reasons why email marketing is so important and what you can hope to achieve. To start out, I recommend Mailchimp as it’s free up to 2,000 subscribers and it’s easy enough to set up and build a campaign with the drag and drop features. When your email list grows beyond this, you can either upgrade to a paid account or move to another provider such as ConvertKit, GetResponse, InfusionSoft, Aweber, etc. People are not going to hand over their email to you unless they are sure to get something of value in return. Depending on your line of business you could offer a discount, a free cheat sheet, an e-book, a how to list, for example. The key is to focus on something that will be valuable for your target audience and that they can use. So now that you have an incentive that your audience will love, next you can either create a specific landing page such as LeadPages that you will drive traffic from social media and other platforms to. Or you can use what we call a lead capture plugin directly on your website such as SumoMe or MailMunch to create pop up opt-in forms. There’s no point having a great website and free incentives in exchange for an email address if no one visits your site. So, start building a campaign that will drive traffic straight to your website or to a specific landing page. Nowadays, most people start out by creating a bespoke social media campaign – sharing relevant posts with a link they can track back to their site. Now that you have subscribers you need to stay in touch with them. There’s no point having a list if they never hear from you. One-off campaigns are great for news releases, product promotions, monthly newsletter, and so on, but to stay connected with your subscribers it’s good to create an automated email series. This could be a welcome series to introduce them to your company, followed by an education series with tips and tricks, for example. The key is to forge an ongoing relationship with your subscribers, earn their trust and stay on top of their minds. A word of warning – please only send emails if you have something newsworthy or some valuable information to share with your subscribers. Please do not spam your audience and try to avoid being black-listed at all costs! Tip – If like most of us, you find it hard to find a catchy email subject line that will capture readers attention in their already full inbox, check out these 29 sales email subject lines that get prospects to open, read, and respond from HubSpot. On a final note: be different and vary your campaigns. By testing, tracking and measuring each campaign, you will soon know which campaign works best for you and your subscribers.